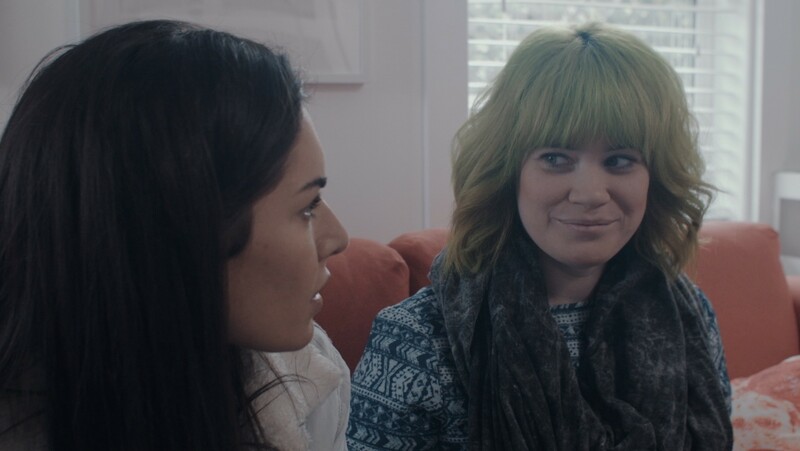 Web series are perfect for people like me, AKA people with the attention span of a ferret. I’m impressed I can sit through a television episode, let alone a 17hr (at least it feels like it) super hero blockbuster. So it’s a little surprising that I don’t regularly watch web series but at least I can say I’m starting off my newfound interest with a great one: Crystal — the Web Series. 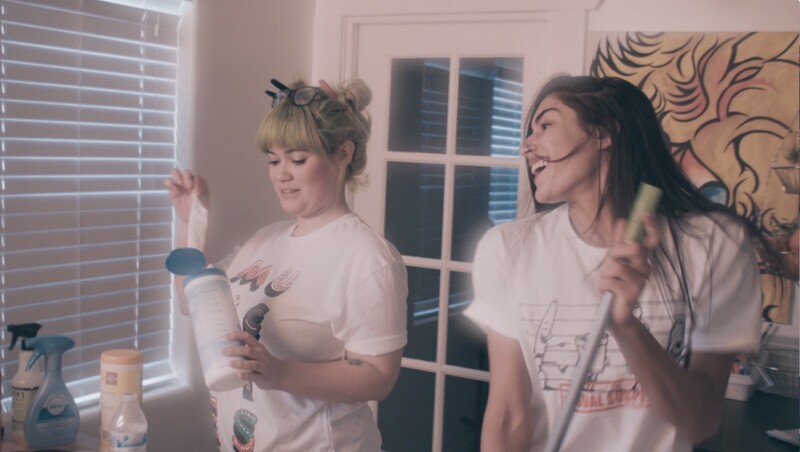 I was connected to Crystal creator Crystal Correa through another filmmaker we recently interviewed (I live for this women-in-film magic). I sat down to watch AN episode and ended up blitzing through the entire season. Granted, yes, the episodes are short, but I was so taken with Correa’s storytelling that I had to keep watching. Real talk: I didn’t want the series to end. Crystal is hilarious and familiar; even if you haven’t had identical experiences Correa so perfectly captures that early-20s Eternal Mood. I simultaneously wished I could go back but at the same time, no thanks, never again. You know exactly what I mean. Crystal Correa is a writer, director, producer, actor, and founder of C+ Media Productions.Born in Seoul, Korea, Correa grew up in a hyper-portable military Puerto Rican family, so she relied on storytelling and reinvention to keep herself entertained. Crystal the Web Series is her production company’s debut project. 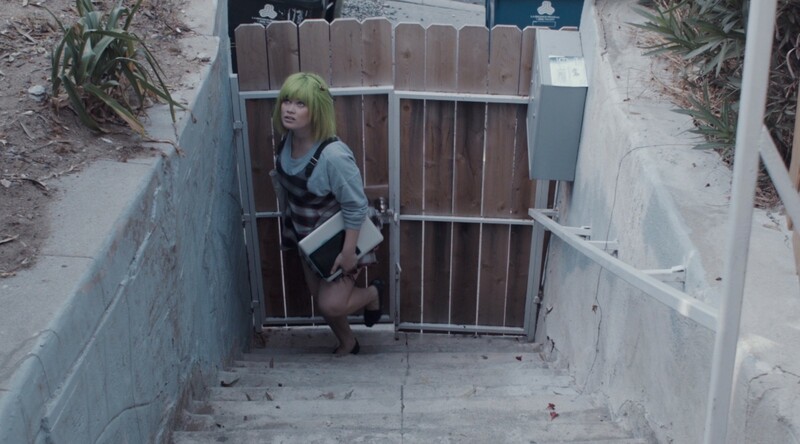 Crystal the Web Series has been featured in film festivals such as LA’s biggest short film festival, HollyShorts, and the first inaugural Mammoth Film Festival. 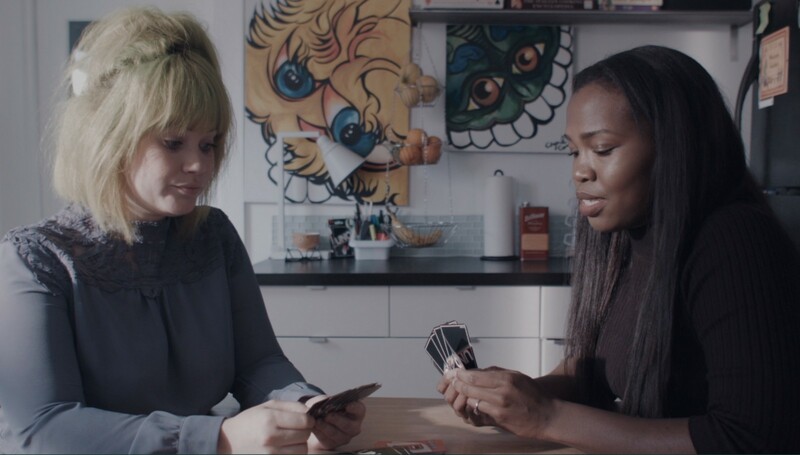 It recently won the LAL FemFest award for Best Web Series, and was nominated for a WhoHaha award for Favorite Web Series. Tell us a little bit about yourself and how you got involved with filmmaking. Crystal Correa: I’m a filmmaker, an artist, a hairstylist, and an OG pale Puerto Rican. My friends would probably describe me as very outspoken and loyal to a fault. I’ve been an artist all my life. My first love was painting, and if I ever get some free time, I hope to get some new work done! I grew up as a military kid, so moving around was tough, and film helped me feel safe and connected to the world. When you are always the new kid, it’s hard to make friends, and it takes time, so to be able to escape into the different worlds in film was always amazing. As I got older, I wanted to learn more about the process and figure out how I could be a storyteller too. Tell us about CRYSTAL — The Web Series. Where did the idea come from? CC: From my early 20s fails! Fails are important because they add real depth to comedy, and I love comedy. I wanted to write stories with a lesson, with a relatable feel to them — stories that a mass audience could relate to and enjoy, because everyone had a tough time in their 20s—and that’s okay. It was something I felt comfortable talking about too, which is very me. I know what I did in these situations, so why not share? Also, I was such a class clown growing up, so I just wanted to put my humor on film. The kind of problems you have in your 20s also seem so much more dramatic at the time, but now I can look back and laugh at what happened. It was therapeutic to revisit some events and write them in a way that helped me understand myself better. What inspired you to make a web series versus a short or feature? I also loved how bite-sized each episode was; what was it like telling each story in under five minutes? CC: Bite-sized! I do love munchies and snack time! Honestly, it was a combination of a tight financial situation and how most people get their entertainment now. I wanted to make sure I was able to create the best web series I could, without compromising creative control. I was the sole producer on Crystal and the voice was completely mine. Making the episodes short was a great way to introduce myself and get people’s attention without taking up too much of their time. At least, not at first. Crystal is also a great stepping stone for me to see what the audience likes. Assuming this is based partially on real life. Did the car thing ACTUALLY happen? CC: It was based on something that happened when I first moved to LA. I was trying to find parking in East Hollywood, which is not the easiest, and when I finally parked, I looked up and there was a man, staring right at me, doing something with his hands. He was sitting down, so I wasn’t sure exactly what was going on. I just remember him staring right at me, and then it hit me! It hit me hard: he was jerking off! This was my first year in LA and I didn’t want to get out of the car. I just drove away and ended up parking a couple of streets away, which was a bummer. I was young and I didn’t want him to chase me, even though it was like 11 in the morning. The whole situation was nuts. At the time I felt like it was playing in slow-motion, but I didn’t want to do that on the show because I felt like the audience already got the idea. The scene was more about Nikki and Hasi dealing with just meeting for the first time and seeing this happen because of Crystal’s ex-boyfriend. The rapport you and actress Nikki Alexis Howard have is fantastic. Were you already friends before starting the project? CC: We actually met at a “casting director week,” where we got to meet casting directors who gave us tips and insight for our acting careers. This was five years ago, right before I moved to LA, and Nikki was very funny during the week and actually became friends with Mahasiah, who was my hotel roommate. And when I finished writing the script, Mahasiah, who plays “Hasi,” recommended I reach out to Nikki for the role, because she thought she would be a great fit. Two years later, I emailed Nikki, she remembered who I was, and we met up so I could pitch the idea to her. She was looking into getting into more comedy work (right now she mostly does modeling). Mahasiah and Nikki are close friends, and I was just happy to have them both on board for my project. My director of photography and sound guy are close friends too. The experience helped me realize how important it is to put together a team of people who like each other and get along. It’s all about having good energy! Can you tell us about some/all of the other amazing women who worked on this film? CC: My composer is one of my favorite people, Carla Patullo, who just got accepted as a 2018 Sundance Composer Fellow at the Sundance Music and Sound Design Lab. She really made my project by making me a customized theme song. We have known each other for five years now, and I came to her with a couple of ideas, but honestly I trusted her to put myself in a song and she did! She let me check out her wonderful library of songs, and I was able to continue to score the rest of the web series and really bring Crystal’s world to life on screen. Nikki & Mahasiah were great enough to join the project and help their characters come alive. I wanted them to really have fun with it, and it shows in their performance — they really committed to their characters! Mahasiah is based in New York, so it was nice of her to be able to take some time off, join the party and help PA the web series. That really helped to keep things moving along. We got done with filming quickly because everyone was on the same page during production. There’s also Brianna, my wardrobe girl who stepped in and helped do some VO work — she did the voice of “Kimmy” in “Computer.” Poor Kimmy, but Brianna did a great job adding more humor to the scene. I wanted to make sure the cast was very diverse and that the crew had a good ratio of women and men! I learned so much by having so many great women around. Tell us about why you are a feminist and why it’s important to your filmmaking. CC: I am a feminist because I believe women should have the same opportunities as men. I am a Libra, so being fair and balanced is at my core. If a woman is working just as hard as a man, they should be paid the same. It just makes sense to me. And when it comes to filmmaking, female voices should be out there too — the more voices that are heard, the more connected we are to each other as humans. It makes it easier for us to understand and relate to each other. Also, we come in peace! Being a feminist, at least for me, also means working with both men and women and living as equals. It’s important to me, because I am a mother to a wonderful little boy, and I’m teaching him that women work as hard (if not harder) and deserve the same recognition as men. His father is one of my biggest supporters. He really has so much respect for hard-working women and supports my projects and what I am trying to show the world. Who are your favorite women working in the film industry? CC: Reese Witherspoon was such a great person to look up to when I was a kid, and still is. She does a lot of work producing projects with strong female leading roles, and I think all-women main casts like in Big Little Lies have really helped women in the industry. Melissa McCarthy is a hero, she really is a comedy powerhouse and makes an amazing team with her husband. It gives me hope for my future in film . What’s the best advice about filmmaking you’ve ever received? CC: Take your time and believe in the process. It’s so easy to take the easy route, but honestly the journey opens you up to more ideas and stories for the future. I am constantly inspired because I respect the process and always learn more by doing things properly. And listen to your team. If something isn’t working out, talk it out, really listen to each other, come together with a new plan and keep going. Life is about living, too, so don’t forget to fall in love and enjoy it! And I mean fall in love with anything — it could be cooking or knitting or fencing. Just don’t forget that there is more to life than film. Taking breaks from the film world helps ground me when things are feeling a bit overwhelming. CC: Working on a cute new summer project with some close film friends called Neighborhood Nights, set at the salon I work at during the day — Neighborhood Salon in Echo Park. It’s going to be fun to just do some quick sketches! Also, I am writing a ton; I did finish writing the full-length Crystal pilot. It’s all about those baby steps. Neighborhood Nights is inspiring me to finally write out my beauty school-inspired show. It doesn’t have a title yet, but I have ideas on how and what I will be sharing from my personal vault. There are so many juicy things to share, but I have to take my time and see what would be good and universal for all generations to bond over. If you could hold any Guinness World Record, what would it be? CC: Making the most people laugh! To me, laughter is the best medicine. Life can be hard and there’s always something going on, so it’s good when you can just laugh. CC: Can a couple of them be dead? I have so many questions for Edgar Allan Poe, mostly because they had us reading his work as a kid, and I want to make sure what I understand what he really meant in some of those stories! My favorite is “The Black Cat;” that story scarred me for life. But for real: I’d invite Oprah, because she’s amazing! I would love to spend some time talking to her about what relaxes her, because she’s so powerful and it would be cool to know how she lives her best life. Beyoncé, because I wouldn’t have to fangirl. I’d have my own talk show so I could finally play it cool. I’d thank her for being a role model for women that weren’t built one way. My curves used to get me all the wrong attention and I was so apologetic to men especially because apparently it was “my fault” I had them feeling some sort of way. Which it wasn’t. I get that now, but having an icon like Beyoncé helped me not feel so alone . My last guest would be one of the loves of my life, during the “cooking section” — because I would definitely have that — my mom! Mama Charo, who is an amazing chef and has the biggest heart I have ever seen. Our bond is so strong. Because of her, I learned how to be open-minded, independent, and knowledgeable, and the reason I am not a starving artist is because she taught me the fundamentals that helped me get far in life. She would seriously steal the show — who wouldn’t love a Puerto Rican mom who feeds you AND gives you amazing life tips. She’s adorable. Finally, recommend one #MUFFApproved film for our blog readers! This is a scary one but it changed the game for me: The Babadook. It was so well done. Jennifer Kent made an amazing, beautiful horror film. It wasn’t cheesy at all. I think it’s a masterpiece. Watch Crystal—The Web Series on the C+ Media Productions website. We are a community that celebrates women in film and TV. High five!